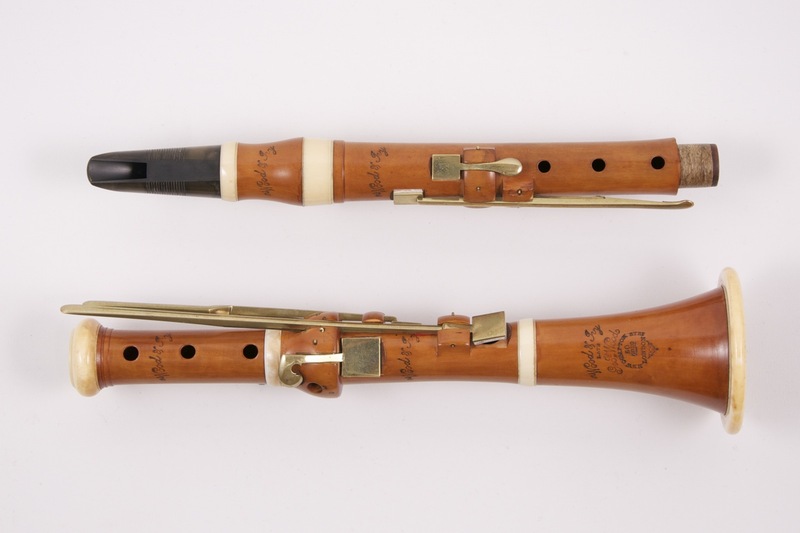 Boxwood Eb clarinet, made in Markneukirchen, with ivory bands and 12 brass keys, cocuswood mouthpiece. 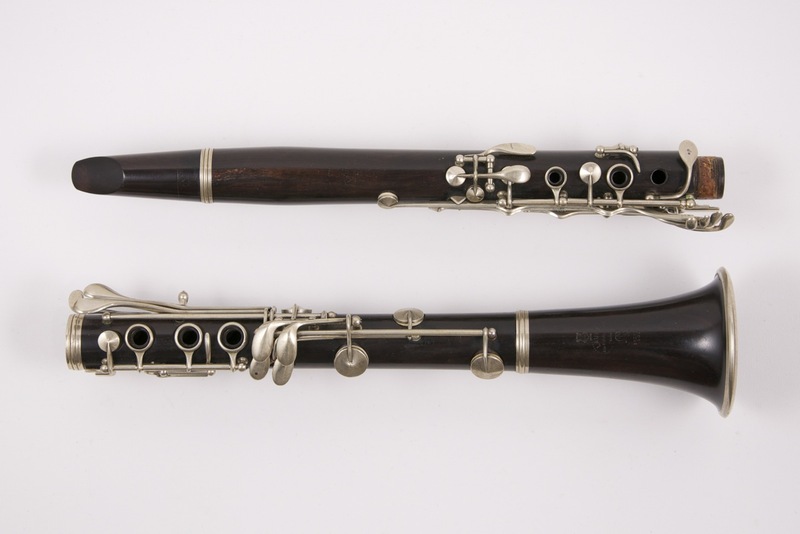 Cocuswood Eb clarinet in his original case, Boehm system, nickel silver keywork, right and left hand joint in one piece, ebonite mouthpiece. 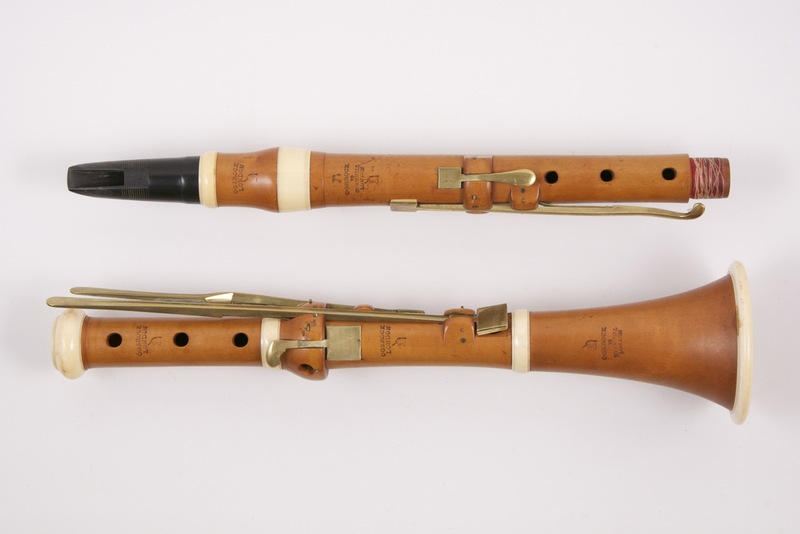 Boxwood Eb clarinet made in Markneukirchen, with horn bands and five brass keys, ebony mouthpiece. 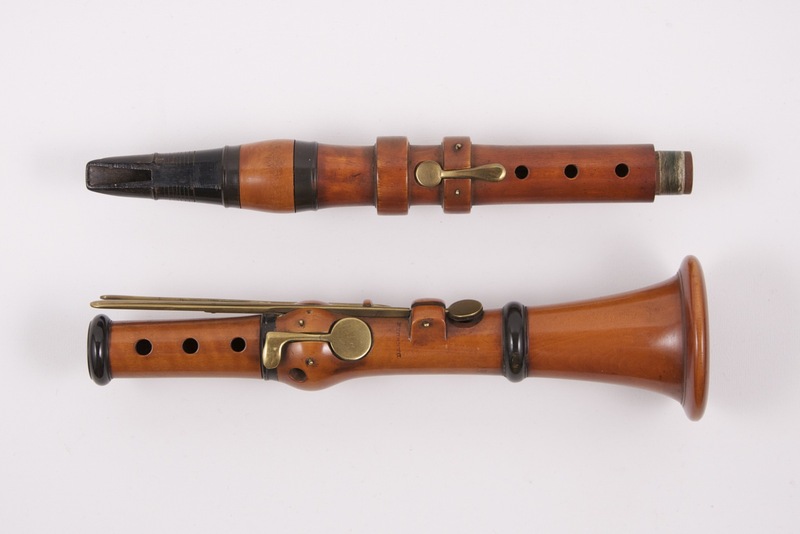 Boxwood bb clarinet, 6 square brass keys, horn bands, with original signed mouthpiece. 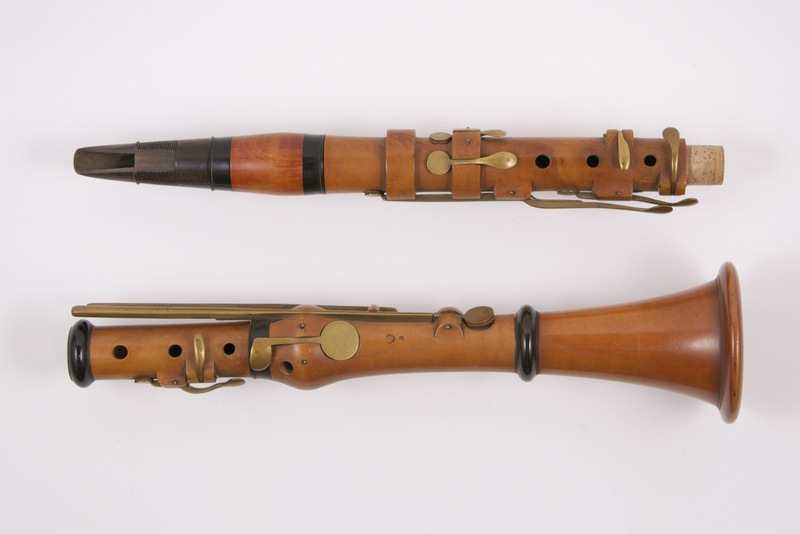 Boxwood C clarinet, with ivory bands, six square brass keys, anonymous ebonite mouthpiece. 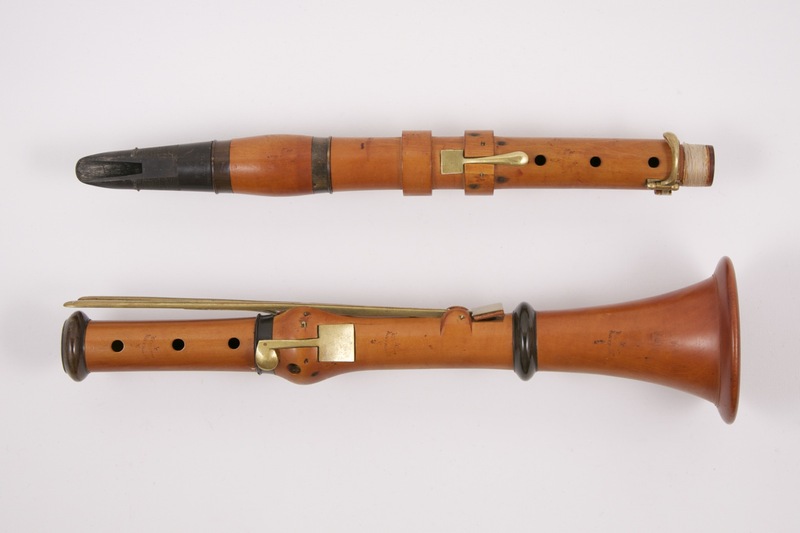 Cocuswood Bb clarinet, with nickel silver bands and keywork, boehm system, an early model with the upper joint and the barrel in one piece, with original signed mouthpiece. 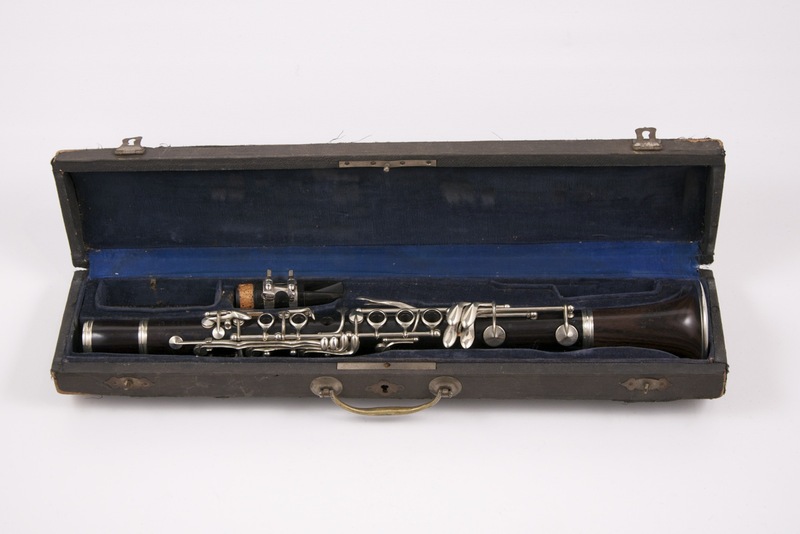 Bb clarinet, boxwood with ivory bands, ebony mouthpiece, six square brass keys, with original signed mouthpiece. 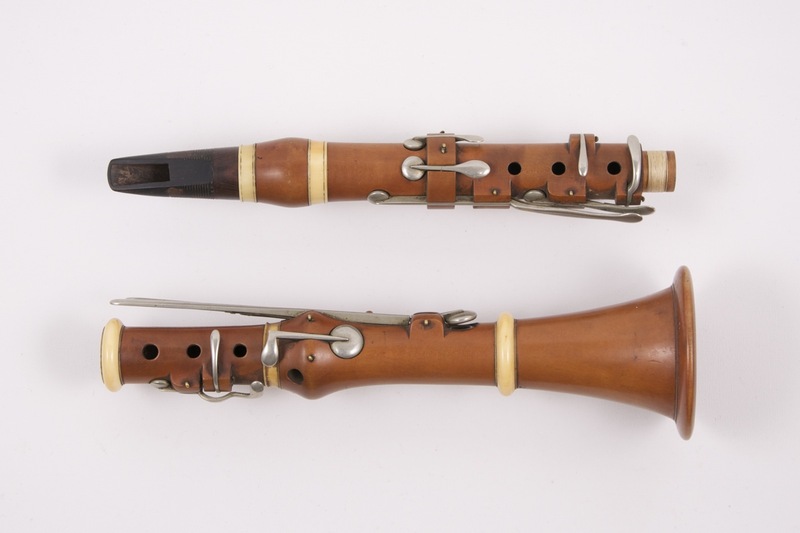 Boxwood bb clarinet with horn bands and 12 brass keys, including 2 extension keys, cocuswood mouthpiece. 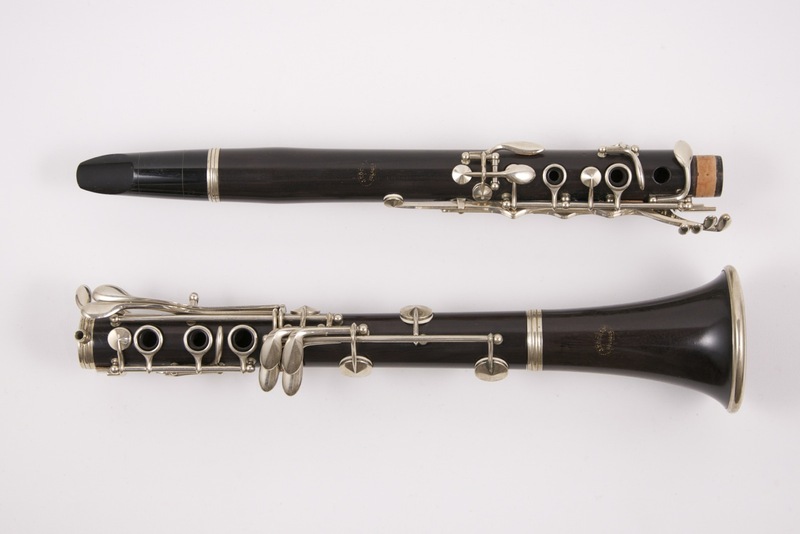 Cocuswood Bb clarinet, with nickel silver bands and keywork, Boehm system, an early model with the upper joint and the barrel in one piece, later ebonite mouthpiece.